ASUS is one of the first companies of the world to give the taste what we expect to look good. The company took the covers off of the thinnest convertible of the world, new ZenBook Flip S.
The laptop, 2 in 1 ZenBook Flip S is provided in the market in 10.9 mm thick chassis and it has the weight of 1.1 kg. It has the flexible design and has the presentation modes to work with new 30 degree ErgoLift hinge. The laptop has the touch-enabled display of 13.3 inch panel with 4K resolution. The laptop, ZenBook Flip S supports the Windows Ink for the creative and productive boost on touchscreen and it has bundled ASUS Pen to aid you. The users will also find the 7th generation 3.5 GHz Intel Corei7-7500U Kaby Lake processor and 16 GB LPDDR3 RAM. This laptop has the internal storage capacity of 1 TB PCIe SSD but it is not expected to come on base version. It takes you to the real caveat with ZenBook Flip S with the lack of dedicated graphics option and few people used the convertible for gaming. It has finger print scanner for improving security. 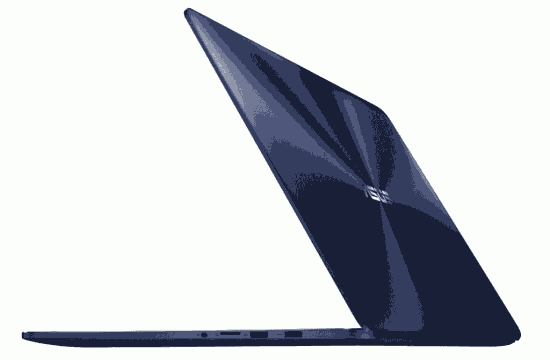 The ZenBook Flip S is provided with two USB-C ports, which do not support Thunderbolt 3 and the machine is provided with Windows 10 and it is already installed in it. The laptop, ZenBook Flip S is added with 0.3 mm liquid crystal polymer fan and the new unit had to build from scratch to allow for aesthetic and cool, silent operations. Fitting a fan is a centimeter thick is the feat in itself. The svelte figure does not come cheap and ZenBook Flip S is started at $1099 and it seems to have ticked all necessary boxes to show the worth of the price.